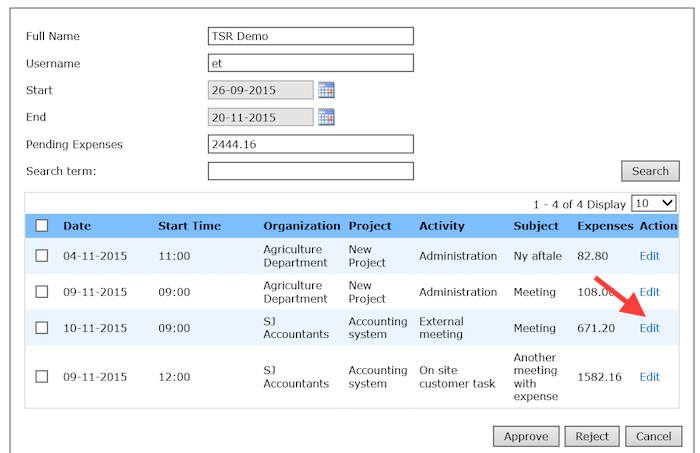 Go to Expense Approval in the main menu to get an overview of users who have expenses waiting for you to approve. If you want to, you can approve or reject everything right here. 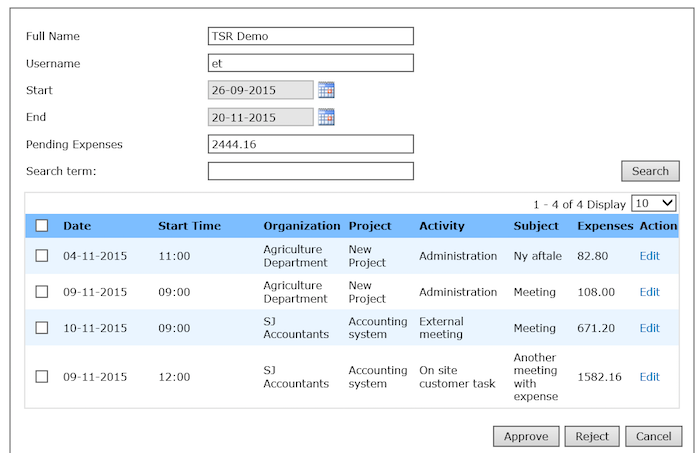 When you reject an expense sheet the user can make changes to it and re-submit it if wanted. Otherwise, click on the username to get more details. Here you can also approve/reject. If you want to, you can edit as well as get all the details about the expense sheet by clicking Edit. From here you can edit the expense sheet and also approve/reject it.